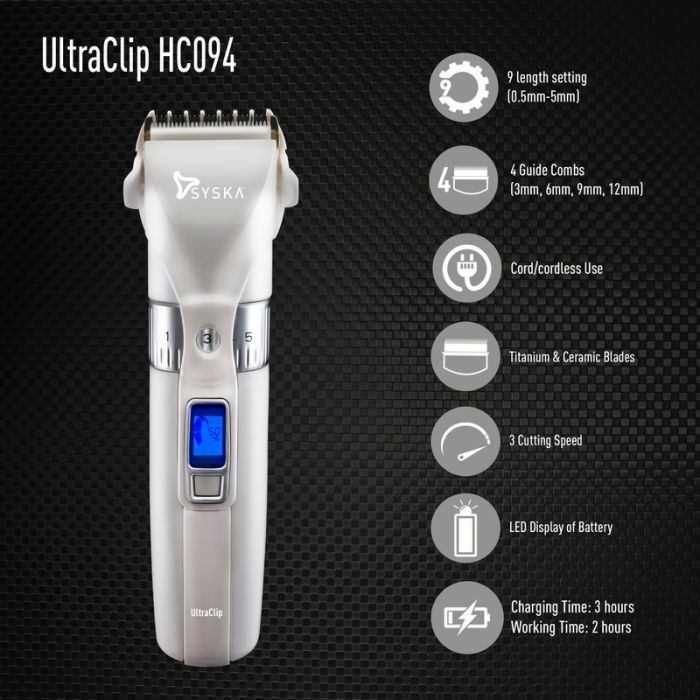 The UltraClip comes with 3 different speeds that you can control to trim your beard. It also has an LED indicator so you know which speed you are trimming your beard with. The UltraClip comes with 4 guide combs of 3mm, 6mm, 9mm and 12mm to give you the flexibility of the beard and hair length you want. Adjust how close you want to trim your beard with the 5 detent taper control with the UltraClip. Would you like a morning-after look or perhaps a light stubble? The UltraClip is more than a trimmer. You can easily trim the hair on your neck too! Are you tired of never knowing when exactly your trimmer will run out of battery? Now you don’t have to worry as the UltraClip has an LED display which shows you exactly how much battery life you have remaining. It also displays the speed at which you are trimming your beard. Wires are a thing of the past. Look great on the go with a long lasting battery that comes with the UltraClip. You can get up to 2 hours of continuous use. Do not fear any electric short circuit. No hassles of a cord or any wires to be attached while using this UltraClip. All you have to do is switch it on and start shaving! Of course you have to charge it if you do not want to use it with a cord.